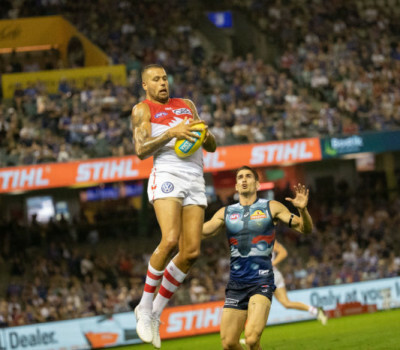 MELBOURNE has shown some steel and buried their Buddy bogey to open their AFL account for the season with a 22-point victory over Sydney at the SCG. The Demons trailed by more than 20 points in the second quarter but kicked 11 of the last 15 goals to record a 15.10 (100) to 11.12 (78) victory, their first at the SCG since 2006. They joined Sydney on 1-3, with the Swans again disappointing on their home ground. Sydney’s second home loss in as many games this season and have lost nine of their last 14 at the SCG since the start of the last season. Melbourne’s midfield prime movers were hardly sighted in the first quarter but lifted significantly to give their side the ascendancy. 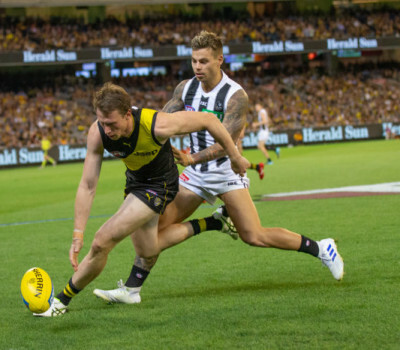 The Demons moved the ball more precisely and fluently than Sydney and their defence and work at the contest improved markedly after a lacklustre first -quarter effort. The hosts had 11 less contested possessions at quarter and half time but finished 20 points ahead. Melbourne had lost all previous 15 games in which Lance Franklin had lined up against them for either Hawthorn or Sydney. Franklin kicked one goal but couldn’t impose himself on the contest. Clayton Oliver and Angus Brayshaw were also prominent while Max Gawn completely dominated the hit-outs in which Melbourne enjoyed a commanding 73-13 advantage. Former Kangaroos big man Braydon Preuss kicked a couple of early goals for Melbourne on his Demons debut, with Christian Petracca and Jayden Hunt also bagging two. Kieren Jack and Oliver Florent kicked two each for Sydney and Jake Lloyd tallied 33 touches. Melbourne made two late changes to their listed side. Defender Neville Jetta was ruled out with a knee injury and forward Jay Lockhart with back soreness, with Marty Hore and Charlie Spargo each getting a call-up. Goals: Melbourne: N Jones 3 B Preuss 2 C Petracca 2 J Hunt 2 A Brayshaw J Harmes J Melksham J Viney S Weideman T McDonald. Sydney: J Dawson 2 K Jack 2 O Florent 2 B Ronke C Sinclair I Heeney L Franklin Z Jones. Umpires: Brett Rosebury, Andrew Stephens, Brent Wallace. Official Crowd: 26,669 at SCG.